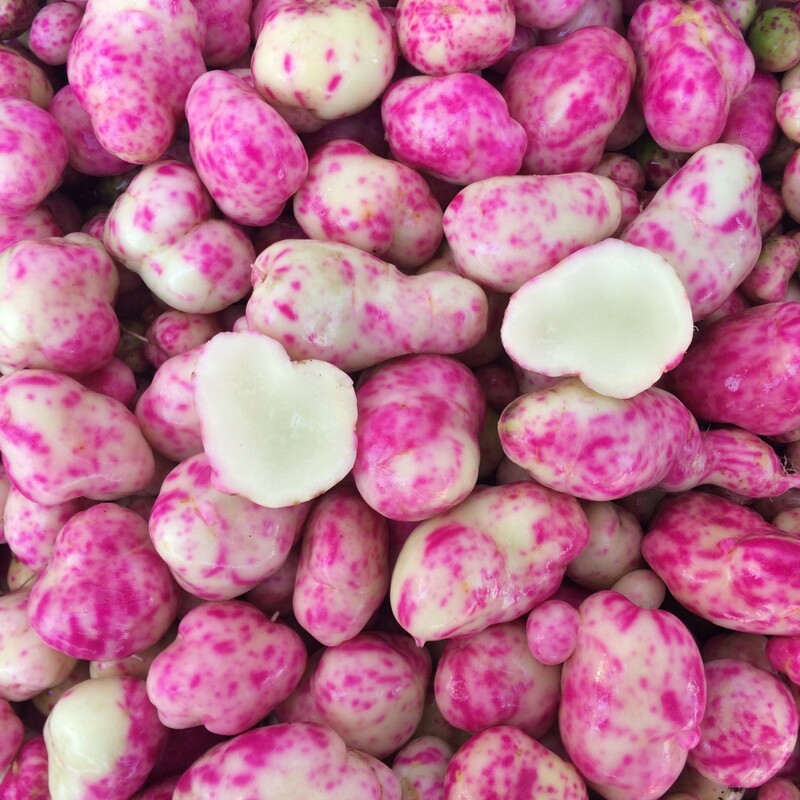 Analyde is a new ulluco variety from the cultivariable breeding program. It is notable for improved size and and mottled white and purple skin color. There has been a change to this variety beginning in 2018. The original seedling of Moclips produced both solid purple and blotchy white and purple tubers. Over several years, I separated the tubers at planting and the populations eventually stabilized. This is probably an indication that the original seedling was a genetic mosaic, with two subtly different genotypes. I have retained the name Moclips for the solid variety and the blotchy variety is now named Analyde. Analyde has a fairly strong beet-like flavor. This variety has firm white flesh, with no noticeable difference between skin and flesh texture. Analyde plants are large and spreading. They will produce tubers over about an 18 inch radius at maturity. 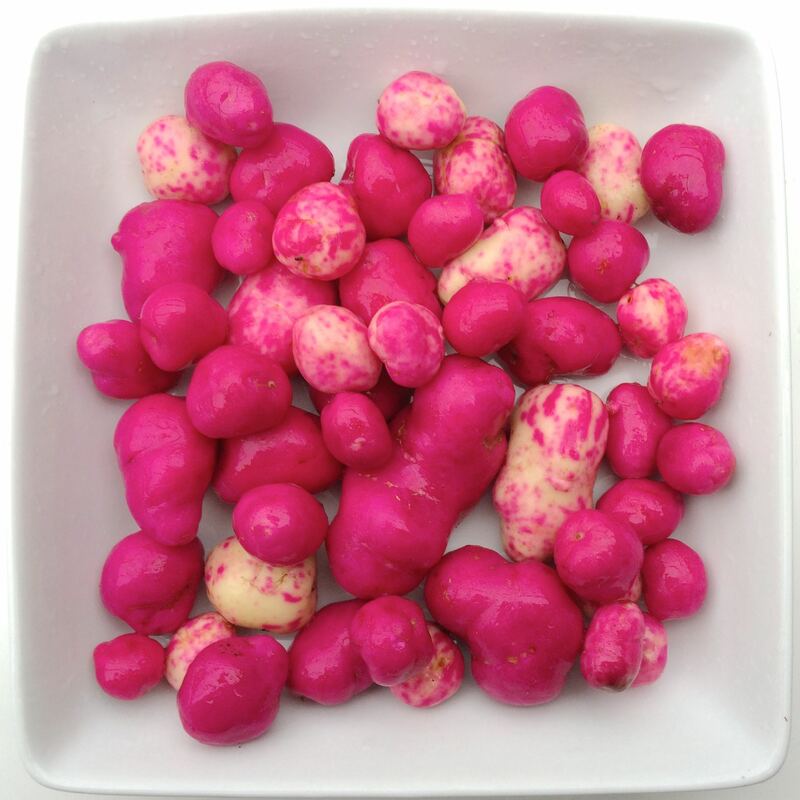 As with most ulluco varieties, the largest tubers are those found directly under the plant, while tubers formed on descending stolons are later and, therefore, usually smaller. Average yield is 2.4 pounds. Maximum tuber diameter is 3.8 inches. Average tuber diameter is 0.9 inches. 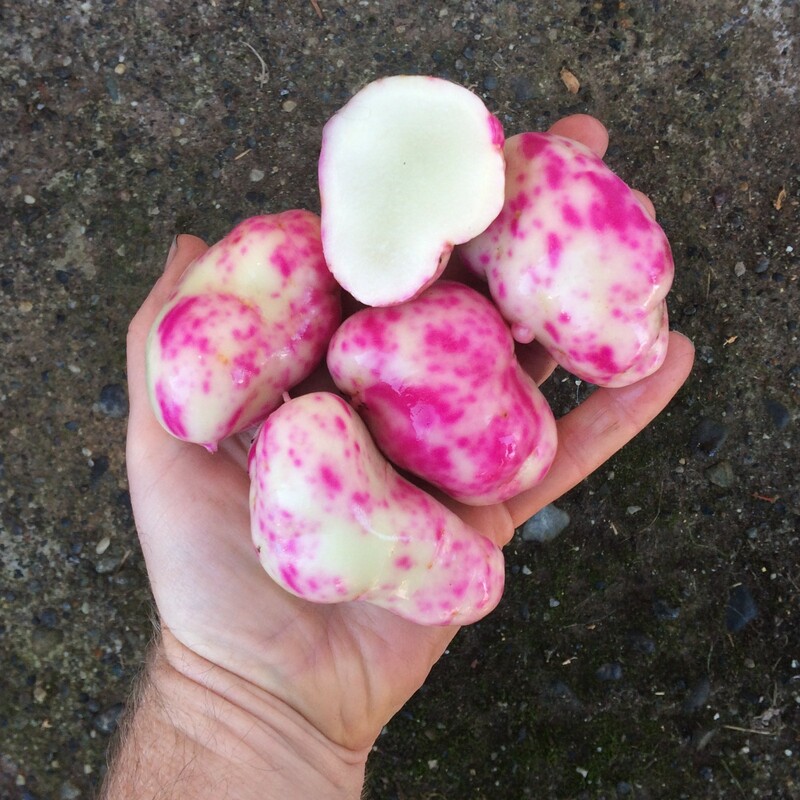 Like most ulluco varieties, Analyde forms a very large number of small tubers, roughly half of the yield is comprised of tubers of 1 inch diameter or larger.